44 round dining table. 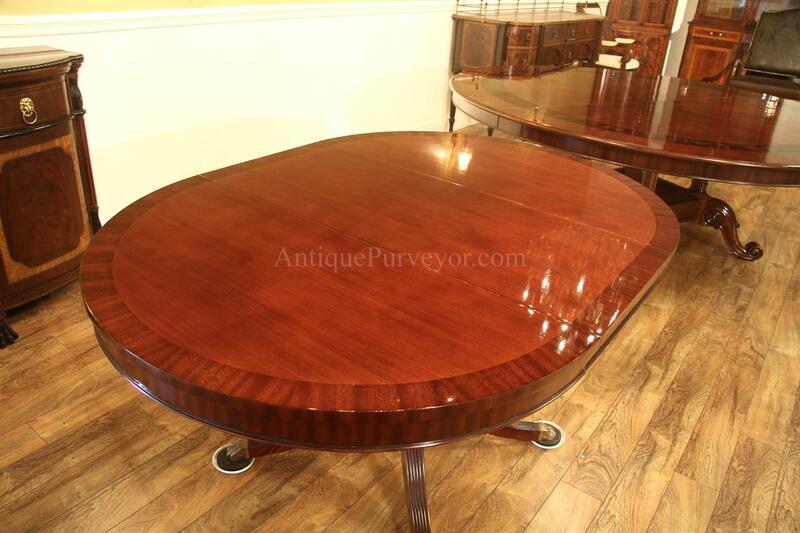 Round mahogany dining table with leaf. Formal and tradiotnal Duncan Phyfe pedstal table with 18" Leaf. Great sturdy table will seat about 6 people when you open it with leaf. 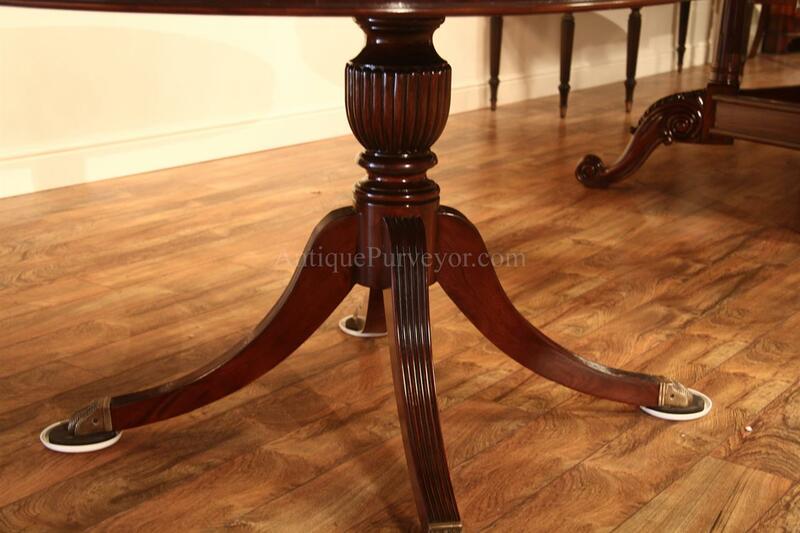 Very classy table designed for our online store. 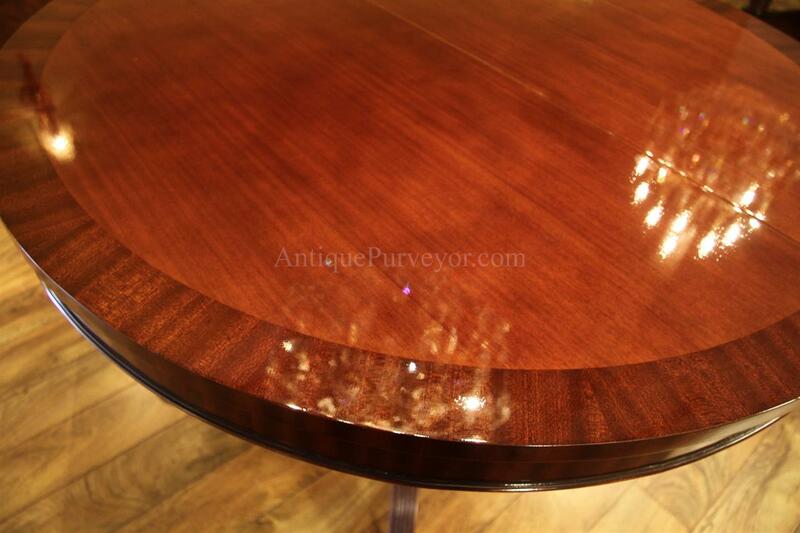 This table has a near perfect lacquer finish which shines like glass. 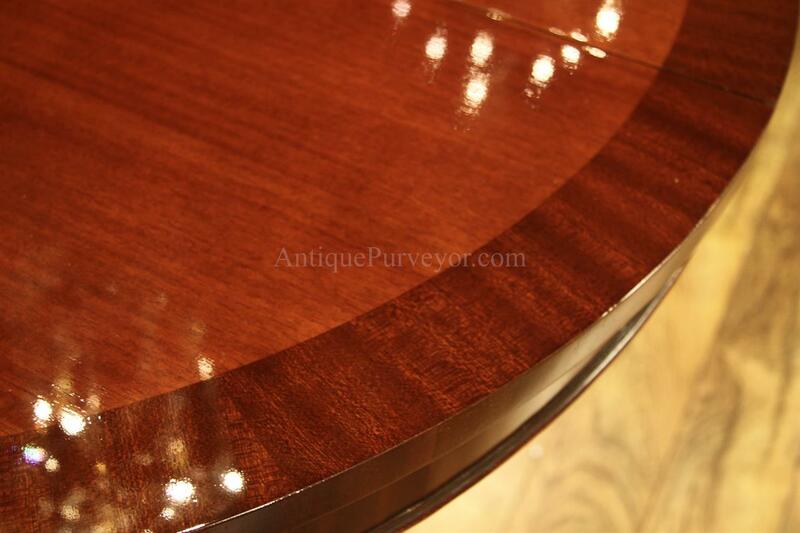 Table has pie cut catherdral mahogany field with mahogany banding. 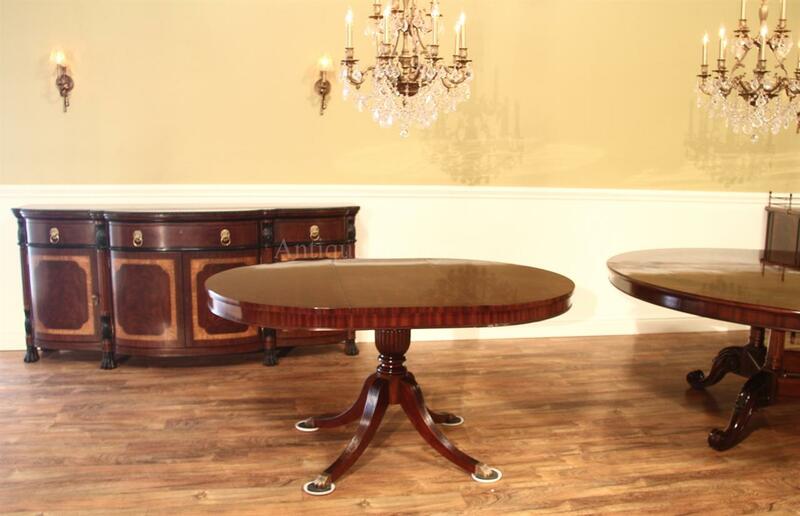 Will work in any traditional dining room setting or formal dining room setting. 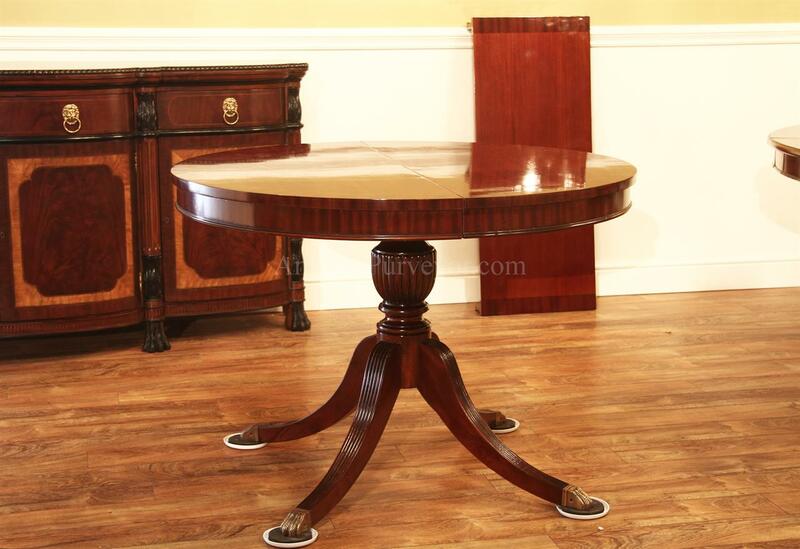 Also, use this table as a drum table in an entry way and use it with the leaf when you need a handy 6 person table.